scoop cookie dough with a small size scoop, line in cookie sheet about one inch apart bake for about 20-25 minutes. 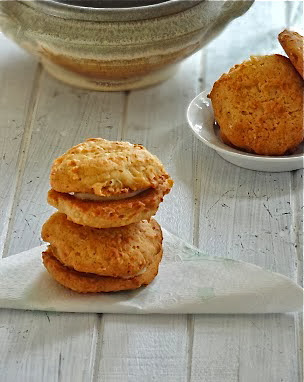 let them cool and spread the creme coconut curd on one cookie and top with another cookie. They have turned out perfect! 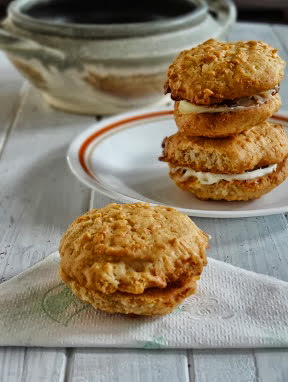 Love coconut cream filling. As usual, you bake so perfectly and this cookies add to the rest, the delicious and tempting ones you have shared before.